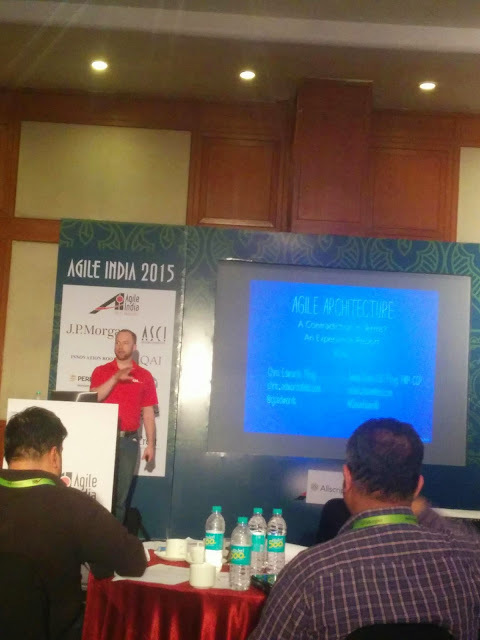 Thinking in Agile: Agile India Conference 2015- Agile Architecture - A contradiction in terms? 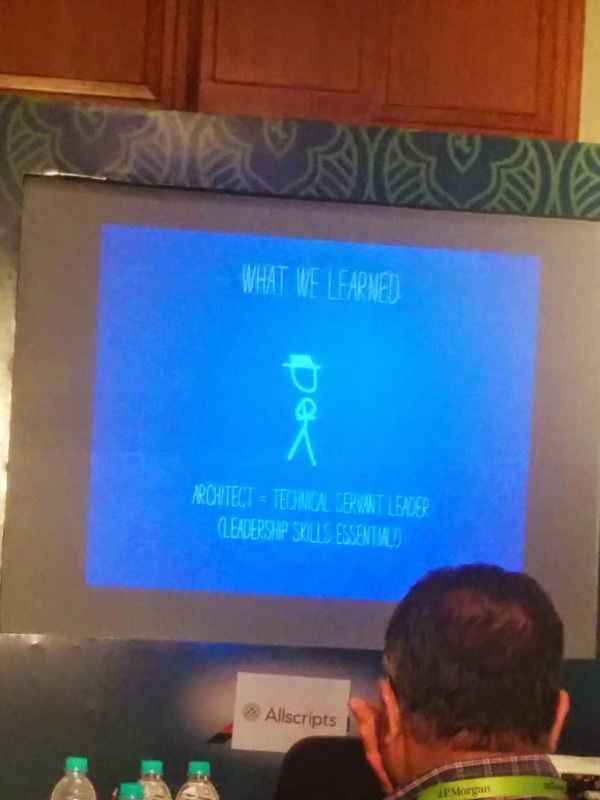 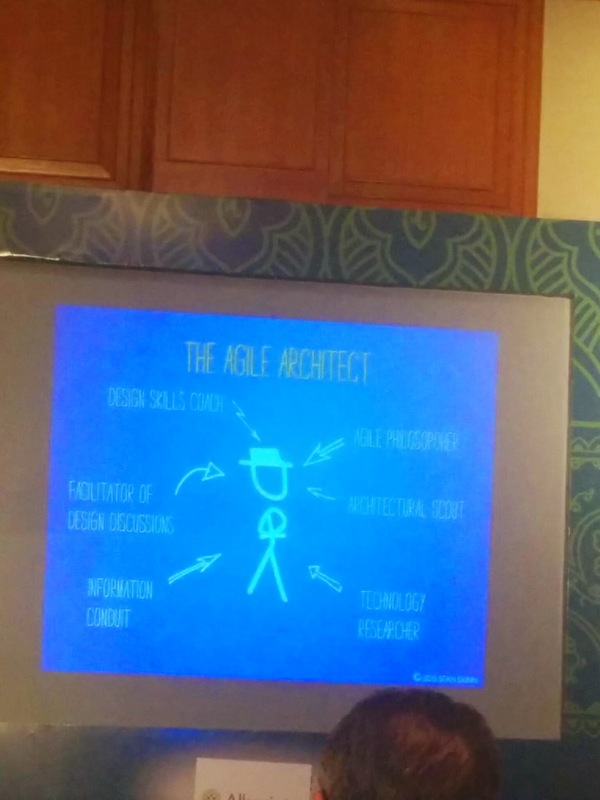 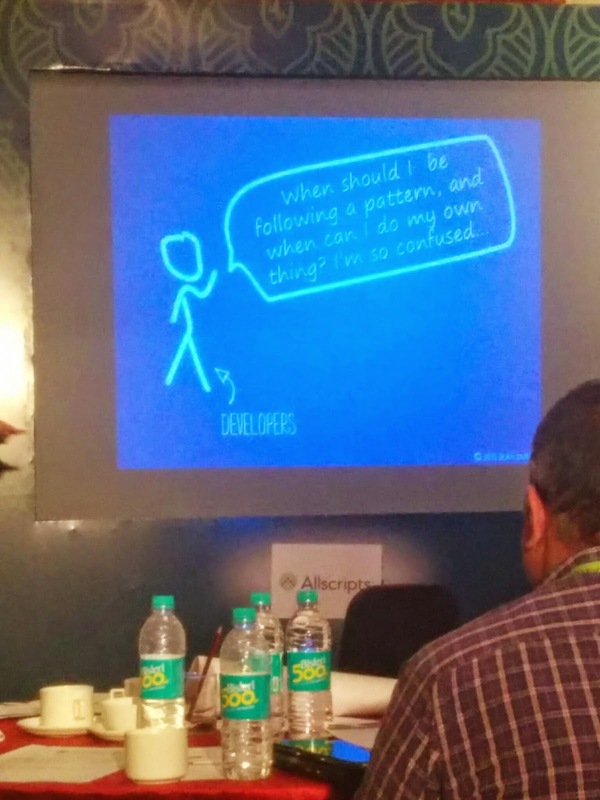 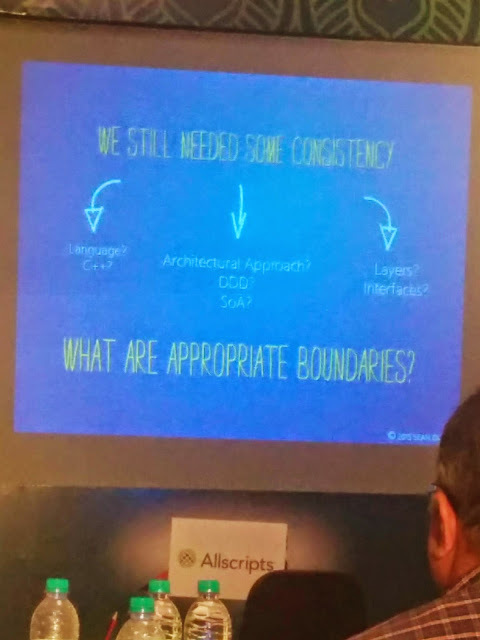 Agile India Conference 2015- Agile Architecture - A contradiction in terms? 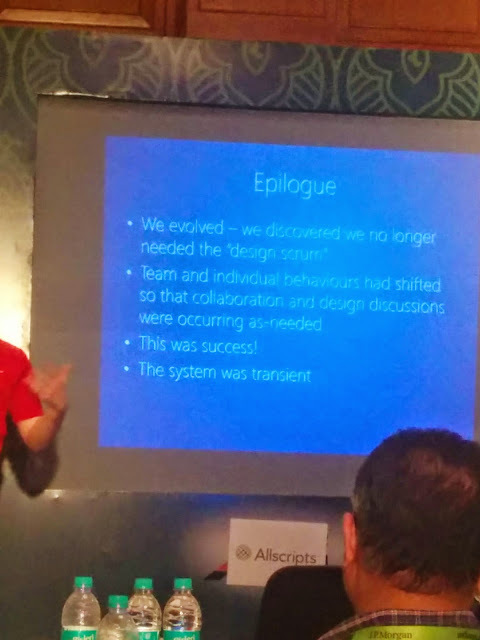 This is an experience report on Agile Architecture. The best architectures, requirements and design emerge from self- organizing teams. Epiphamy- It is essential for the architect to be connected to the code. -Information used to be miscommunicated or getting lost. Architect used to work harder. 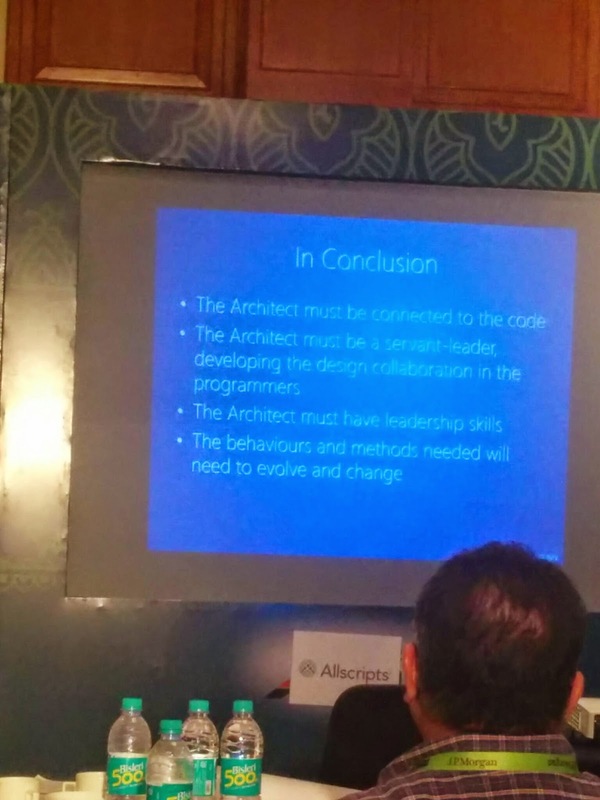 Epiphany- Architect should be good leader. 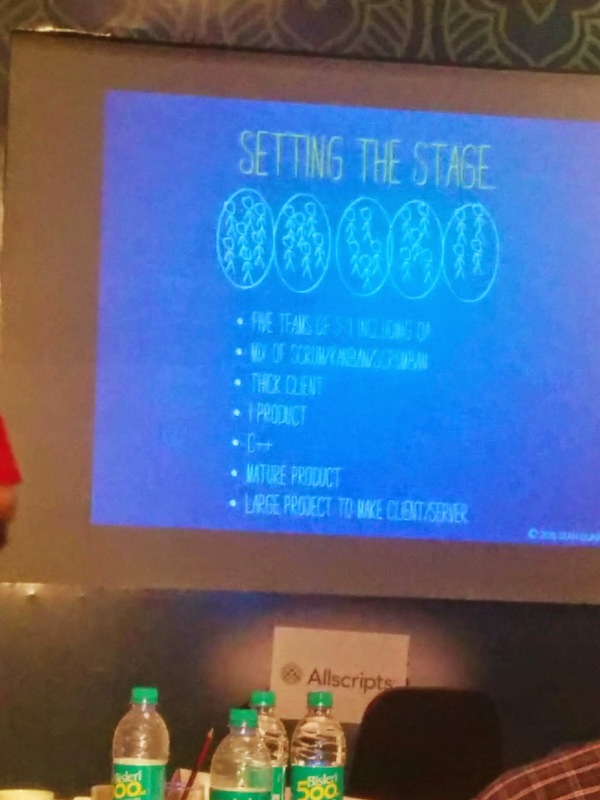 Solution- Team formed scrum team where the architect, developer and all other roles worked together.